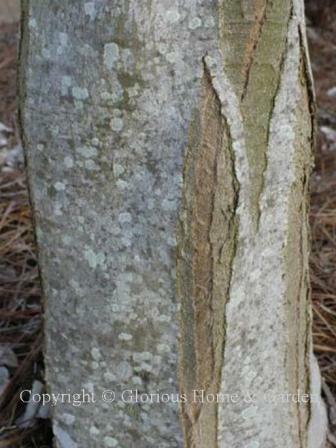 The texture of tree bark becomes an important element in winter when the shedding of leaves exposes trunks and branches. 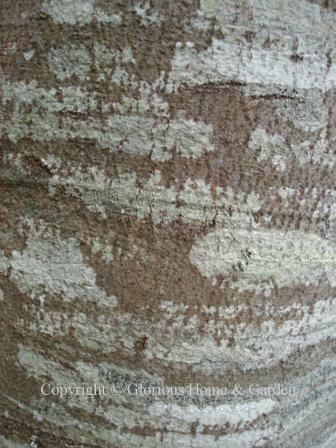 The variety of colors and textures is fascinating. 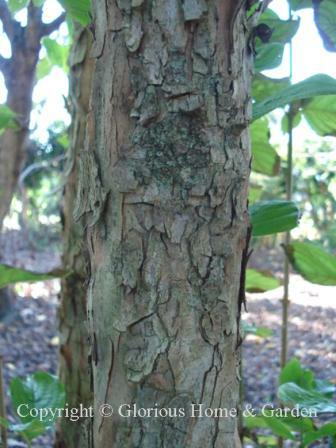 The bark’s texture may change as the tree matures. 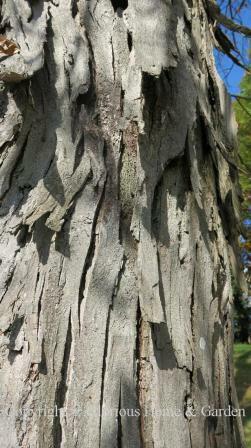 The bark of a black locust (Robinia pseudoacacia), for instance, is quite smooth when young, becoming deeply furrowed as it ages. 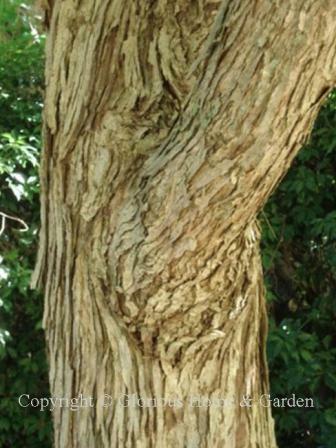 Conversely, a paperbark maple (Acer griseum) will exhibit its flaking, exfoliating characteristics when very young. 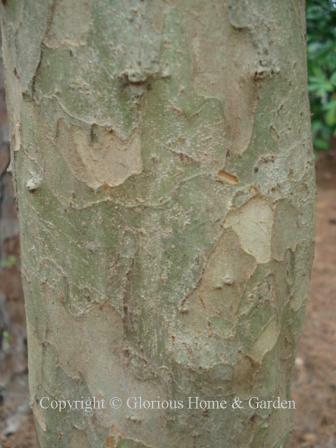 One of our favorites in the South is crape myrtle (Lagerstroemia indica) with bark that peels to reveal smooth pinkish or grayish bark beneath. 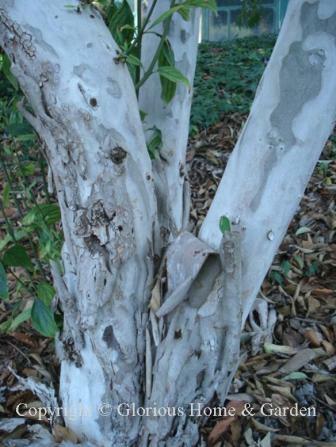 Some trees have colored bark, like the famous white bark of the canoe or paper birch (Betula papyrifera), or the dark red stems of a red-osier dogwood (Cornus sericea). 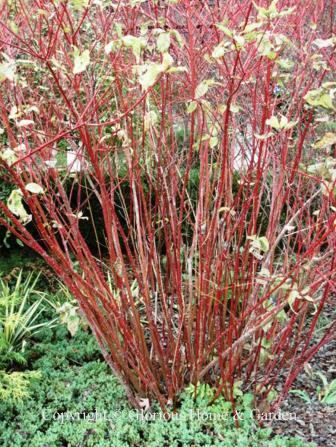 Imagine the beauty of a hedge or mass of red-osier dogwood surrounded by snow! 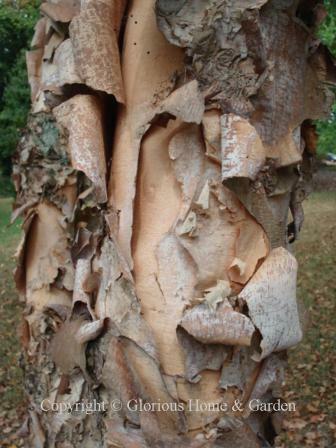 Site a tree, such as a river birch (Betula nigra) with its flaking bark, where you can easily admire it as you pass it on a walkway or look out a window. 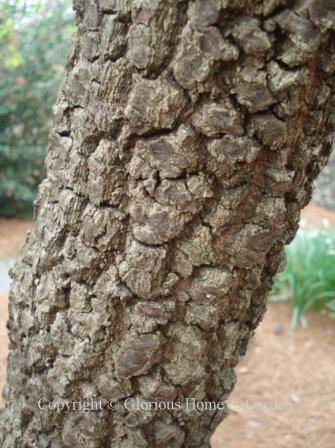 Acer palmatum ‘Nishiki gawa,’ Japanese pinebark maple--has rough-textured bark resembling pine bark. 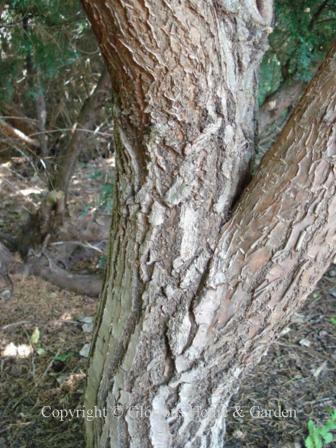 A good choice for a small specimen tree or bonsai. 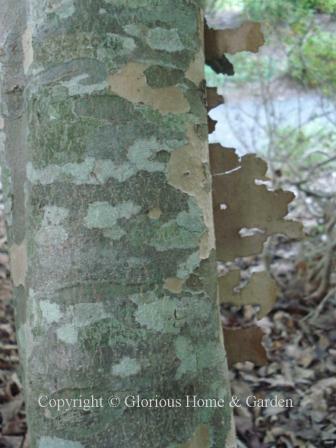 Betula papyrifera, paper birch—famous white bark that peels in thin horizontal strips revealing reddish inner bark. Indians used to make canoes and shelter. Best in Northern zones. 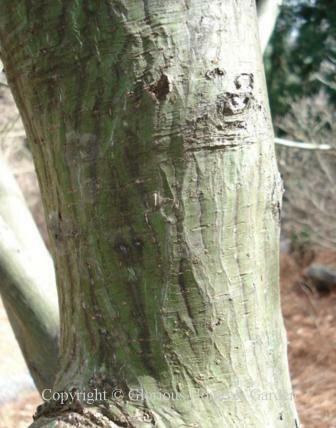 Cercidiphyllum japonicum, katsuratree—the bark becomes shaggy with age on a tree that is beautiful in all seasons. Outstanding specimen tree. Cercis canadensis, Eastern redbud—dark, blackish bark stands out in winter, good foil for the pink buds which pop out directly from the branches. 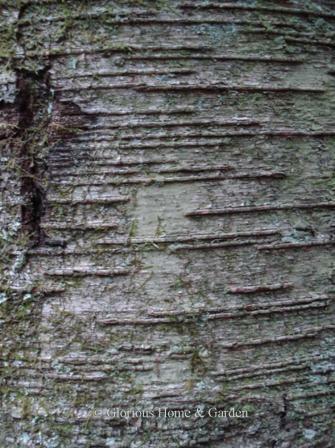 Younger bark looks much smoother and develops this sort of criss-cross pattern with age. 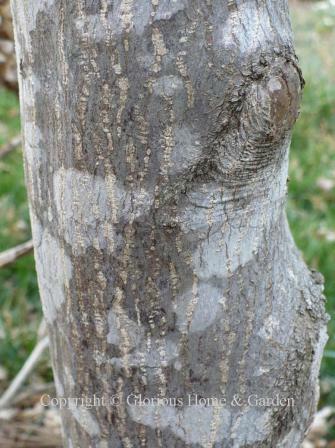 Chionanthus retusus, Chinese fringetree--multiple trunks develop with bark in shades of gray, brown and tan may be furrowed or exhibit exfoliating characteristics. 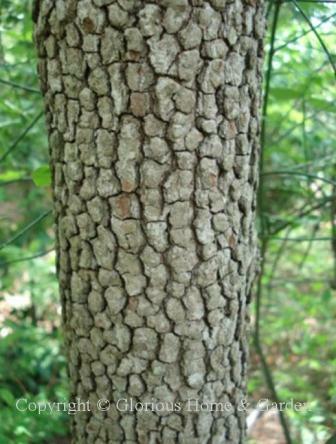 Cladrastis kentukea, American yellowwood--smooth gray bark with lighter horizontal patches giving a striped effect. 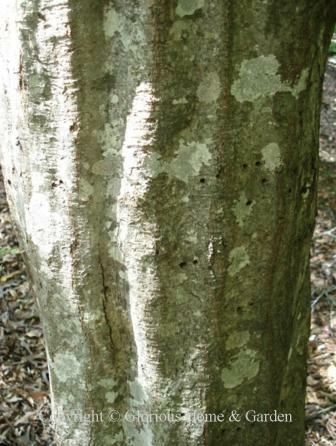 Similar to American beech. 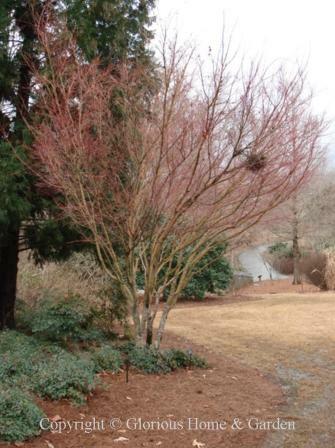 Cornus sericea, redosier dogwood—red twigs in winter. 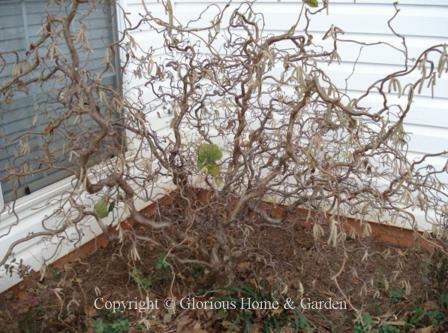 Cornus sericea ‘Lutea’, yellow twig dogwood—has yellow twigs in winter. 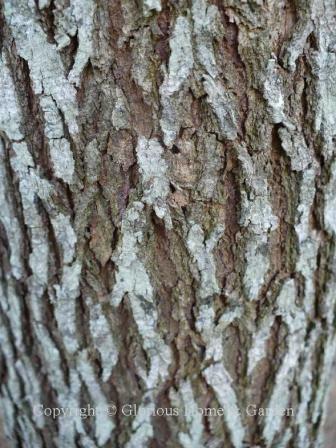 Crataegus marshallii, parsley hawthorn--a small native tree of the southeastern U.S. with patchy, scaly bark that is quite ornamental.